Snowshoeing is a good way to enjoy the snow if you are not steady on a pair of skis. The snowshoe trip is fully guided, and we’ll provide you with the necessary gear. To maximise your chances of having a great experience, it’s important to dress warmly. Bodø offers a wide variety of tour options. We will choose the right one depending on the weather, snow conditions and the group. 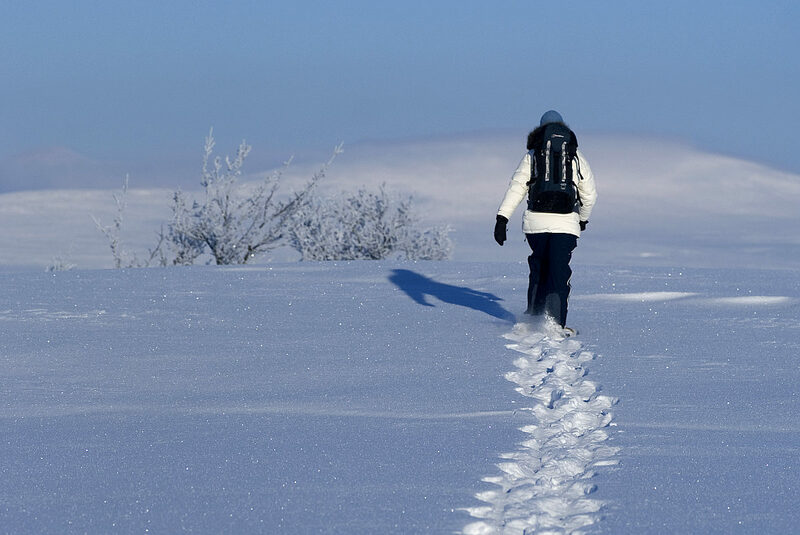 Winter walking nearby Bodø is a good choice if you want to spend a day outdoors during your visit to Northern Norway. The Northern Lights during an evening winter hike. Photo: Brynjar Hilling. 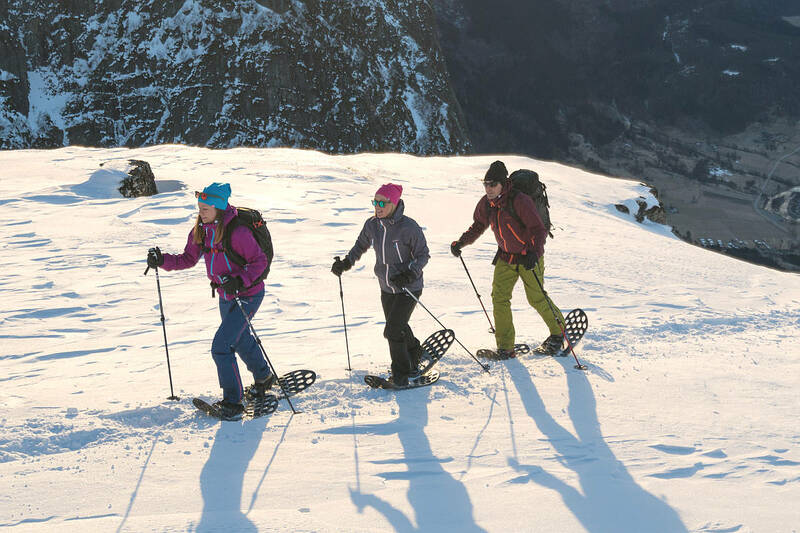 Daytime Snowshoe Trips are a great way to enjoy the winter landscape and the Arctic wilderness near Bodø. We’ll have plenty of time to enjoy the nature, and on a guided tour you can immerse yourself in new knowledge about the Norwegian nature. Arctic Night Snowshoe Hike? A bit adventurous? 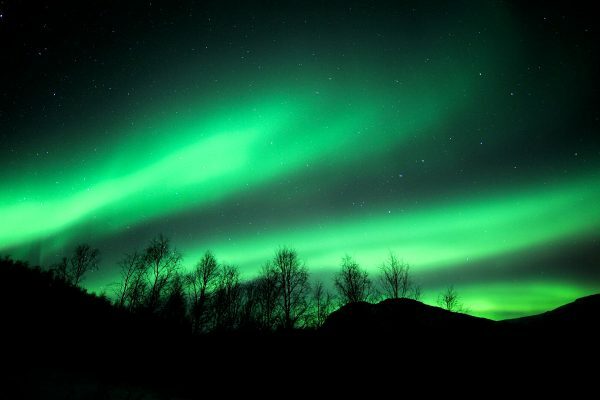 Then consider a mysterious evening snowshoe hike, which could be your chance to see the Northern Lights. You’ll then get a feeling of a winter night above the Arctic Circle. During the hike, we’ll stop by for a break, make an open fire and enjoy a hot drink brewed in a black pot. With regards to the snowshoeing trip, this blew me away. We were shown beautiful photographic spots, which were out of this world!! The snowshoeing was great fun, even to us novices, again beautiful scenery culminating with building our own fire and enjoying our stunning snowy surroundings. Winter (of course). December - March (April). Is this trip for me? This trip is designed for intermediates. You don’t need any specific skills. That said you should have some outdoor experience in walking before you arrive. 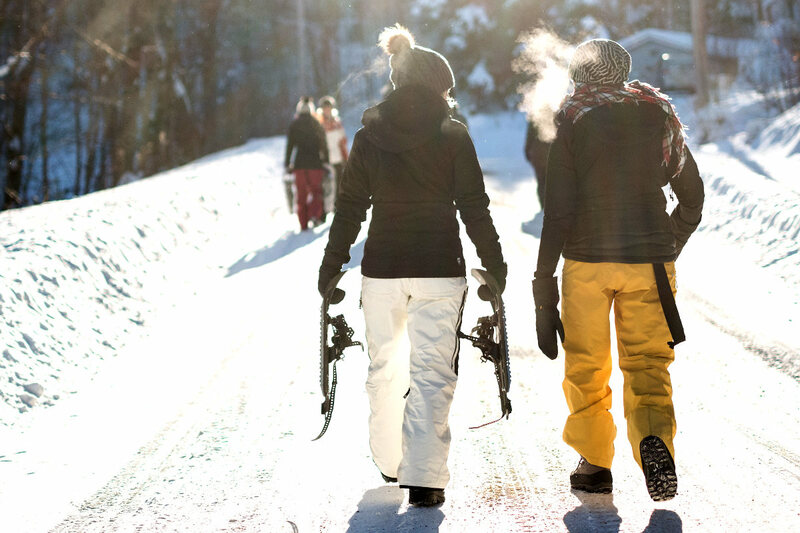 Snowshoeing demands good health and a minimum of coordination skills. Minimum age: Our recommended minimum age for children is around age 10. Terrain: Low mountain forests typical to Northern Norway (pine and birch). Near to lakes and mountains. Normally no paths, slightly rugged terrain and some hills. Total length: Approx. 20 km by minibus or car each way to reach the starting point. The length of the actual snowshoe trip will be adapted to suit the group. 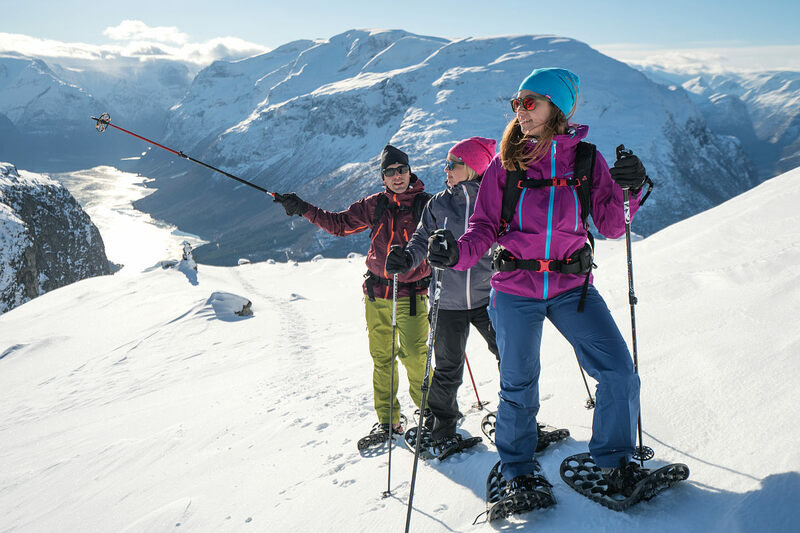 A typical snowshoeing trip will normally be no longer than 2 – 3 km unless you are really keen to do a full-day hike? Elevation: The starting point is typically 20 metres above sea level, while the maximum elevation on the snowshoe trip will be no more than 100 m a.s.l. Your own hiking gear suitable for winter. Snowshoes, hiking poles and gaiters. A knowledgeable, English-speaking guide with a sense of humour and passion for winter hiking. Quality headlamps for evening hikes, which make the trips enjoyable even during the winter darkness. Naturally, snowshoeing requires snow! Bodø is located on the Northern Norwegian coast, which means the snow cover near the town centre varies during the wintertime. However, it is far more stable in inland areas just a short drive from town. Don’t worry – we will find the snow! 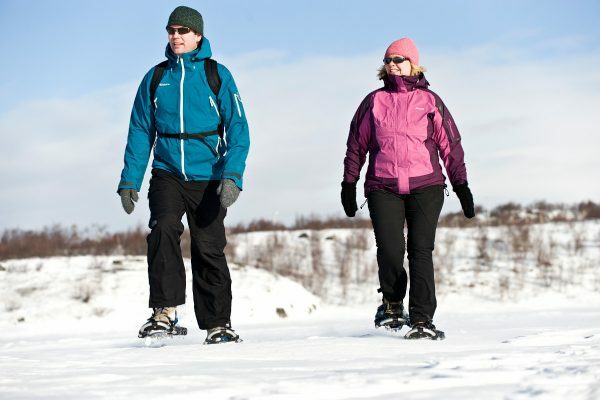 Keen to try Snowshoeing? Need more info?